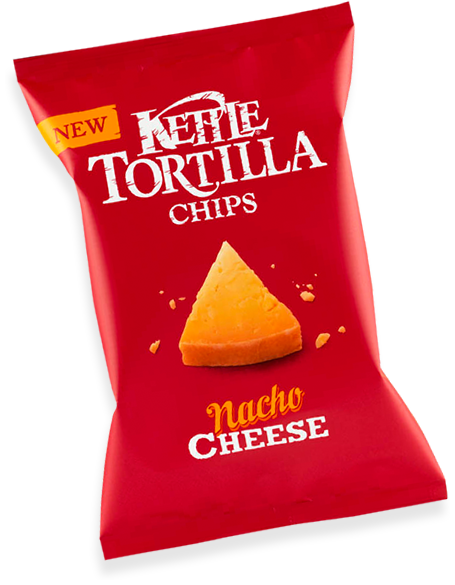 Designed for dipping, Tortilla Chips are obviously thicker than most Potato Chips and Crisps. This did not compromise the crispiness of these Chips however. The brittle crack was sustained as the Chips crumbled without mushing up. The triangular shapes were even and mostly whole. There were some broken Chips at the bottom of the bag, but the thickness of the Tortilla slices ensured they were mainly intact. There were lots of oil boils within the surfaces and the colour was a broken and crumbly orange surface, full of texture character. Unlike Potato Chips and Crisps, Tortilla Chips have an aroma all of their own and irrespective of the flavour, most smell much the same. There was a slightly spicy, molten Cheese taste mixed up with the familiar fried Tortilla.